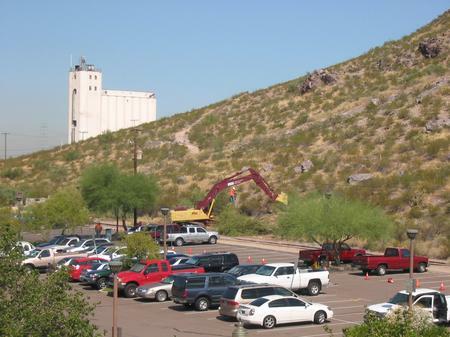 Looks like they are finally beginning to build the light rail station outside our office in Tempe, AZ. They have a simulation to what it will look like (why do people build things in the desert without shade structures? Those “sails” are just not enough). Being an ASU alumni, I love the excavator in ASU colors.